Pakistan is on the hit list of India, Afghanistan and USA supported by NATO and Israel since 2002. The enemies of Pakistan have been using Afghanistan as a major base of operation for their covert operations. RAW had established its forward network in the northwestern Pakistan with the help of its proxy TTP and its affiliates, which destabilized FATA and parts of Khyber Pakhtunkhwa including the capital city of Peshawar. Pakistan security forces fought the paid proxies in South and North Waziristan and other tribal agencies of FATA as well as Swat from 2003 till 2008. Pakistan had to again launch major operations in Buner, Dir, Swat, Shangla, Malakand, Bajaur, and South Waziristan in 2009, and later in Khyber Agency, Kurram Agency, Orakzai Agency and Mohmand Agency in 2010/11. Later on, a big operation was launched in North Waziristan in June 2014 to recapture the last stronghold of TTP under Hakimullah Mehsud and flush out over 60 terrorist groups including foreign groups. By mid-2015, the entire northwestern belt was cleared of the foreign aided proxies and they had to take shelter in Kunar, Nuristan and Nangarhar in Afghanistan. The runaway militants of TTP, Jamaat-e-Ahrar and Lashkar-e-Islam are still carrying out terror attacks inside Pakistan duly abetted, equipped, funded and guided by RAW and NDS and backed by CIA. India has also been making use of Iranian soil for undertaking sabotage and subversion in Baluchistan and Karachi and for that purpose RAW had stationed a serving Navy officer of the rank of Commander, Kulbushan Sudhir Yadav at Chahbahar as a businessman under a fake name of Mubarak Hussain Patel in 2003. He had been given Indian and Pakistani passports. He had lived in Karachi for some time in 2004 and had made trips into Baluchistan several times to provide funds and assign tasks to the terrorists. Sea routes were used to supply arms and explosives. He had succeeded in establishing RAW network in the two regions with the help of Baloch rebellious groups namely BLA, BRA, BLF in Baluchistan and MQM, Lyari gang and fishermen in Karachi. From 2013 onwards, he was made the overall in-charge of carrying out subversive war in Pakistan and mandated to accelerate separatist movement in Baluchistan, make Karachi lawless, torpedo Gwadar seaport and scuttle CPEC. Kulbushan was a state actor deputed by the Indian State to wage war against Pakistan and for this purpose he was given $400 million. Reportedly, he was linked with Iranian military intelligence. It otherwise doesn’t stand to reason that he hoodwinked the state machinery of Iran since 2003 by pretending to be a businessman and making frequent trips to Pakistan and kept his activities hidden. Indo-Afghan-Iran strategic economic partnership signed in Chahbahar in 2016, India’s financial support to build Chabahar seaport and connect it by road and rail with Afghanistan, and Iran’s serious reservations over Gwadar seaport are strong indicators that Iran could have closed its eyes to the subversive war launched by RAW from its soil to emasculate Gwadar by bleeding Baluchistan and Karachi. Indo-US-Afghanistan nexus supported by others have been constantly building a narrative against Pakistan to project it as a double dealer and involved in abetting terrorism in Afghanistan, Indian Occupied Kashmir (IOK) and India. The trio has been projecting Pakistan responsible for their failings in Afghanistan and portraying itself as victims of terrorism. Taking advantage of the diplomatic clout and military and economic power, they have been able to sell their stories to the world community and hide their collective crimes against Pakistan and Indian crimes in IOK. One reason that they succeeded in building perceptions and portraying Pakistan in poor light was Pakistan’s utter failure to build a counter narrative to convey its side of the story and highlight aggressiveness and terrorism of enemies in disguise of friends. India besides lumping all terror attacks in India from 2001 to 2008 in the basket of Pakistan, it carried out false flag operations in December 2001, November 2008, Gurdaspur, Udhamphur in 2015, and Pathankot, Uri in 2016, in its bid to depict Pakistan as a terror abetting state. Pakistan on the political and diplomatic fronts remained passive, defensive and apologetic thereby giving a distinct edge to India. Instead of building a counter narrative it preferred to do American bidding and kept doing more and more hoping that its obedience would please Washington. Similar approach was adopted towards India as well as Afghanistan to keep the two appeased. Pakistan’s Foreign Office and Embassies couldn’t achieve much in exposing India’s real face after it started to break all records of human rights violations and atrocities against hapless Kashmiris. The 22-member team sent by Pakistan to western capitals in September 2016 failed to convince anyone that India is the villain of peace in the region and no peace is possible unless the 70-year old dispute of Kashmir is resolved amicably as per UN resolutions. Kulbushan in Pakistan’s hands exposes the smokescreen of deceit, lies and deception of India and lays bare its ugly face for the first time, but for unknown reasons, our policy makers failed to capitalize on the biggest prize the Army had bagged in Baluchistan on March 3, 2016. Although his twice video recorded detailed confessions, and statements made by over 200 of his connections in Baluchistan and Karachi who had been arrested were handed over to the US and the UN, but unlike India which makes hue and cry and sours its lungs to prove its fake stories as true, Pakistan didn’t make any worthwhile noise to drumbeat this huge catch in the world. However, Pakistan achieved commendable results on the military and intelligence planes and thwarted dangerous designs of enemies of Pakistan. Intelligence based targeted Rangers Operation backed by Army launched in Karachi in September 2013 smothered the militancy and fascism espoused by MQM under Altaf Hussain. MQM stands split into four factions and Altaf completely isolated. Semblance of order has been restored in Karachi. Likewise, a similar operation by Frontier Corps backed by Army in Baluchistan broke the back of the separatist movement supported by foreign powers and Baloch rebels are returning home in droves while Baluchistan is being developed at a fast pace to remove its socio-economic grievances. These achievements made by Pakistan when seen in the backdrop of worsening security situation in Afghanistan and not so happy internal situation of India, and with Kulbushan as well as spokesman of TTP Ehsanullah Ehsan in Pakistan’s hand, it has made things extremely dismal for India. Kulbushan being a naval serving officer was tried in FGCM by the Army and on April 10, 2017 he was awarded death sentence. Although his trial was kept secret, the accused was given facility of defence counsel and all norms of justice were fully met. Within 40 days of the date of verdict (20 May 2017), convicted Kulbushan can appeal to the High Court, but he has not made any appeal. Option of Supreme Court is also open to him. He can also seek mercy petition from the President to convert his sentence to life sentence. India kept trying to gain consular access to Kulbushan by quoting 2008 Indo-Pak consular access agreement, but never owed up that he was working for RAW against Pakistan. 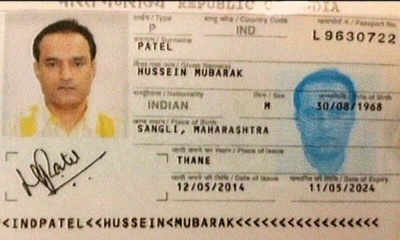 India couldn’t explain why he was issued a Pakistani passport and why he was operating under a cover name of Mubarak Hussain. India didn’t agree that he was arrested in Baluchistan and maintains that he was abducted from Iran. India denies Kulbushan is a RAW agent and a serving officer, but at a belated stage admitted that he is a retired naval officer. While Pakistan has been giving consular access to India for Indian spies in its custody, India never reciprocated. Since he was a spy, he was fomenting terrorism and working on an agenda to detach Baluchistan from the body of Pakistan, hence consular access was not granted to India, particularly because of extremely hostile posture of India and Kulbushan not requesting for consular access. To maximize pressure on Pakistan and force it give consular access to Kulbushan, RAW master minded the kidnapping of a Pakistani retired Army officer Lt Col Habib in April 2017. He was kidnapped from Nepal and taken to India after luring him by offering a lucrative job in Nepal. A fake employment company posing to be based in London performed the gory act. This act was undertaken to project him as an ISI spy operating against India from Nepal and then using him as a bargaining chip to release Kulbushan. Additionally, besides keeping the LoC and working boundary in Kashmir sector turbulent through constant ceasefire violations, India provoked Kabul to create a situation at Chaman crossing point by firing at the census team and disrupting the census process. Already irked by border management process and return of Afghan refugees and staggered by Taliban offensive, Afghan border force fired indiscriminately on May 5, 2017 from the two border villages and caused civilian casualties. Besides the forceful military response action by Pakistan military, the two border crossing points at Chaman and Torkham were closed, and are still closed. As if this provocative act was not enough, Iran was elbowed to warn Pakistan in reaction to a border incident on April 27. Iranian Army Commander’s stern warning on May 8 was so timed that it gave an impression as if Pakistan was now faced with three dimensional threat and that except for China all its neighbors accused Pakistan of terrorism and were hostile toward it. Internally, other than the Panama leaks case, Dawn leaks case was played up by opposition parties and paid media to create rift between the army and the govt. Issuance of a tweet by DG ISPR in response to a notification issued by the PM House, saying that, “the notification is incomplete and not in line with the recommendations of the investigating team and hence is rejected”, sent the opponents of Nawaz Sharif (NS) into raptures. They wishfully thought that finally the two titans have locked their horns and downfall of NS was within grasping reach. Media created a hype and it put the PM in an awkward position. Once the notification was duly corrected to the entire satisfaction of the GHQ, the latter fittingly withdrew the tweet and the tense matter was amicably resolved. However, sudden diffusion of Dawn leaks case came as a bolt from the blue for the opponents of NS and the media, and their guns started to target the Army Chief and senior leadership of Army, saying that it was an abject surrender and a compromise on national security. Social media, particularly retired army officers played an anomalous role. They went two steps ahead of the anti-Army brigade in besmirching the image of Army Chief. None was interested in national security; their target was NS. It was under such murky internal political conditions and blame game that India suddenly decided to approach the International Court of Justice (ICJ). For India, Kulbushan has suddenly become enormously important since his execution will put a confirmatory stamp on Pakistan’s stance that India has been fomenting terrorism in Pakistan. Except for Yadav’s immediate family, none in India has any love lost for Kulbushan. They are cursing him for putting India in a very embarrassing situation. In reality, India wants to save its face and image and not Kulbushan. After a lapse of one year, there was a sudden upsurge of love for him and Sushma Swaraj declared him the son of Mahabharat and warned that India will go to any extent to get him released. Probably Iran has been taken in the loop and it is demanding consular access for Kulbushan on the plea that he had planned to target Pak Embassy in Tehran. India filed a case in ICJ on May 10, 2017. It accused Pakistan of violating the Vienna Convention by failing to provide Kulbushan consular access, as well as breaking international human rights law. New Delhi also appealed to the ICJ to impose emergency measures to suspend Kulbushan execution until the legal battle in ICJ has concluded and urged The Hague Court to use its jurisdiction and authority to get Kulbushan released. ICJ promptly accepted the case on the same date, and in great haste affixed the date of hearing on May 15. Pakistan decided to contest the case in ICJ although many advised that Pakistan was not legally bound to do so in the light of Indo-Pak consular bilateral agreement in 2008, which overrode obligations under Vienna Convention. More so, ICJ has a poor history of dispensing justice or exercising its authority effectively. In 1999, when it approached ICJ regarding the downing of Navy’s Atlantic Reconnaissance aircraft inside Pak territory, India refused to accept its jurisdiction and the ICJ could do nothing. USA thrice rejected decisions of the ICJ when Paraguay, Germany and Mexico had approached the court to stay the death sentences awarded by the US Courts and to provide consular access to the accused. So was the case with China when it refused to honor the verdict of ICJ in favor of Philippines on its navigational rights in South China Sea. Pakistan maintained that the ICJ need not intervene as it had adhered to a 2008 bilateral treaty with India that supersedes the Vienna Pact by stating that the right to consular access can be waived where ‘national security’ is at risk. Islamabad also noted that Kulbushan sentence remains subject to appeal to higher courts in Pakistan (40 days from the date of award of death sentence, ie, 20 May 2017), and he is in no immediate danger of execution. It described India’s decision to take its case to the UN court as ‘political theatre’. The panel of judges headed by Justice Ronny Abraham heard the arguments of both sides on May 15 and reserved its judgement till next hearing. On May 17, at 3 pm Pakistan time, Judge Ronny said, “The mere fact that Mr. Kulbushan Yadav is under a death sentence and might therefore be executed is sufficient to demonstrate the existence of a risk of irreparable prejudice to the rights claimed by India. Therefore the court was ‘satisfied’ of the ‘urgency’ of the case”. He granted stay on verdict of death sentence till finalization of the case and final verdict. The ICJ ruling did not favor the arguments of either side but was meant to prevent Pakistan from taking any irrevocable steps before the court can decide whether it has jurisdiction in the case and, later, which side is right or wrong. Since the announcement of provisional order, Indian leaders and Indian media are blowing trumpets of victory and are terming it as India’s biggest diplomatic triumph. Taking advantage of the misgivings aired by politicians, pseudo intellectuals, legal fraternity, former judges and TV anchors in Pakistan, India is conveying to the world that Pakistan has been soundly beaten and that the right of hanging Kulbushan has been snatched away from its hands. Barrister Khawar Qureshi who represented Pakistan at ICJ, has been maliciously targeted by Indian media and unfortunately Pak media has joined the chorus to demean him. It must be known that all international institutions are funded and controlled by USA and are under the influence of Israel as well. ICJ falls in this category. Since India is strategic partner of USA and Israel, therefore it will be logical to assume that the case of India will be dealt by ICJ in accordance with wishes of India and not otherwise. This has already become obvious after seeing the speed with which the case of India was accepted by ICJ and provisional relief given to India in one hearing. The judges rejected the plea of Pakistan saying it had prima facie jurisdiction under Article 1 of Optional Protocol to Vienna Convention to hear the case. Irrespective of the limitations of ICJ, so far the case is open and no one has won or lost the case. Like the Panama case, which was not a legal but purely a political case in which political vendetta was glaringly visible, ICJ case concerning Kulbushan is also political in nature. It is more inclined toward political point scoring and has little element of law. Barrister Khawar has rightly stated that India is chanting hollow slogans on its imaginary victory at Hague and befooling its people. Opponents of NS helped by media are spinning stories that ground is being smoothened to release Kulbushan and quote NS-Sajjan Jindal secret meeting in Murree. NS is being dubbed as a security risk on account of his soft approach towards India because of his business interests. They are lambasting him for not mentioning the name of Kulbushan for once and not giving a befitting reply to bellicose statements made by Modi and other Indian leaders against Pakistan. They say that the govt made little efforts to expose the ugly face of India after the arrest of Kulbushan and that Pakistan should not have gone to the ICJ since ICJ jurisdiction hinges on mutual consent of both parties. Denial of consular access to India for Kulbushan is seen as a mistake. Some went to the extent of saying that NS passed on letter signed by Kulbushan to Jindal asking Indian govt to take up his case in ICJ. Swayed by Indian propaganda, they say Barrister Khawar was weak and didn’t fight the case properly. TV anchors and so-called analysts have been painting disconsolate scenario as if everything has been lost because of poor handling of the case. They misled and stimulated the sentiments of the public rather than carrying out objective and dispassionate assessment of law. It must not been forgotten that all stories pasted on social media are manufactured in Pune city in India. These conspiracies theories and cooked up news are further spiced by their spooks in Pakistan and elsewhere. Juicy stories are easy to sell. Fun starved public already immersed in socio-economic problems eagerly buy the scandalous stories since they have no stamina to listen to factual stories devoid of juice. Pak social and electronic media toe the line of Indo-US-Western media and go a mile ahead in further scandalizing the invented stories to tarnish the image of the govt and premier institutions. This practice has been going on since the expansion and liberalization of electronic media in Pakistan in 2002/03. News on social media are mostly fabricated or mixed with half-truths. We tend to forget that Kulbushan was tried in FGCM and given death sentence after his confessional statements of his direct involvement in spying and terrorism in Pakistan on two occasions, and that so far Pakistan has not relented and has borne the pressure of India to give consular access. To meet the norms of justice, the convict has the right to appeal in apex courts and then to the President of Pakistan. This process has yet not been completed which takes 150 days as per Army Act. As such, if ICJ has asked Pakistan to delay his hanging till completion of full hearing, nothing unusual has happened. ICJ didn’t rule that Kulbushan must not be hanged. It only desired deferment. India sought his release, but it failed. India is trying to hide its embarrassment behind media war as it had done in Kargil conflict. The main case is yet to start and Pakistan has a very strong case while India is on a very weak wicket since it is defending terrorism. India will have to prove that Kulbushan was not a serving officer, and not involved in spying and terrorism, and why was he given two names and a fake identity. It cannot prove any. Once the case opens up for full hearing, it will for the first time unravel all the misdoings of India starting from 1970. The ICJ cannot terminate the death sentence of Kulbushan. The ICJ can at best rule against death sentence and may convert it into life sentence, but cannot pronounce him not guilty and release him. Pakistan is not honor bound to obey ICJ ruling and will go by the ruling of FGCM and Supreme Court. Pakistan has not violated Vienna Convention in denying consular access because this is an exceptional case involving integrity and national security of Pakistan. Besides the two confessional statements of Kulbushan, Pakistan has ample documentary and video evidences. So why so much of victory celebrations in India and why the pall of gloom and hue and cry in Pakistan when the court battle has yet not started?? In my view India has been trapped and Pakistan has a great opportunity after the temporary setback in the ICJ. India has itself terminated the bilateral policy which it has been using since 1972 to thwart resolution of Kashmir dispute and opened up multilateral approach for Pakistan. India has internationalized the Kulbushan case (a bilateral dispute) by taking it to the ICJ. They have done it, what we couldn’t do. “Lo Aap Apne Daam main Sayyad Aa Gaya” (The hunter has fallen into his own trap). Pakistan must now capitalize on this opportunity and drag India in the ICJ and other international forums, and prove to the World that India is involved in the state sponsored terrorism in Pakistan. Based on the precedence and moral authority of the Kulbushan case, Pakistan should take one by one, many of the human rights violations in Kashmir to the ICJ, and expose Indian atrocities. Pakistan must expose to the World that India is the originator of cross border terrorism and sponsorship of terrorism is the “State Policy” of India. Pakistan has a strong case, we have an opportunity, and we must exploit it. We have the capability, diplomatic skills and the expertise to make up for the opportunities we lost in the past because of our policy of appeasement and apologetic stance. After all, haven’t our diplomats successfully blocked Security Council seat to India despite support of world powers to India? Haven’t we become a nuclear power despite all the odds and have protected it and further strengthened it? Pakistan has won 26 elections out of 28 at international forums in the last few years in spite of outright hostility of India and USA? Haven’t our security forces and intelligence agencies reversed the dangerous tide of terrorism that had engulfed Pakistan and had nearly sunk it? It was a near impossible feat which no other country including USA has achieved. Haven’t we upturned the sunk economy and overcome energy crisis to a great extent when it seemed impossible in 2013? CPEC has been made operational since last October. This year industrial zones will be built in each province and 10,000 MW additional electricity will be added in the national grid by end 2017 to overcome energy crisis. While Pakistan military is giving a robust response to India’s aggression along the LoC in Kashmir, and has achieved spectacular results against foreign sponsored terrorists, Pakistan has improved its macroeconomic indicators and GDP has reached 5.30 %. It has improved its image and has successfully freed itself from the strategic encirclement and web of isolation weaved by India and its strategic partners. CPEC is the mainstay of China’s One-Belt-One-Road (OBOR) concept which is based on 6 economic corridors and Pakistan is the hub of CPEC. The success of OBOR in general and CPEC in particular was visibly seen in the recently concluded summit in Beijing which was attended by representatives from over 150 countries. Installation of former army chief Gen Raheel Sharif as head of 41 Muslim States Alliance and the summit in Riyadh, attended by Donald Trump are reasons for Pakistan to feel good and proud that its importance cannot be overlooked. All these developments are much to the chagrin of India. With all these spectacular achievements under our belt, there is simply no reason for us to feel upset and gloomy. Let’s push them, we can do it. Harmony between civil and military relations from June 2013 onward was one reason for achieving tangible results. All state institutions, legal fraternity, judges, civil society, political and religious parties and Ulema will all have to stay together and put up a united front to beat India. Electronic and social media and doomsayers will have to change their stance from negativity to positivity or else be disciplined. This entry was posted on Wednesday, May 24th, 2017, 6:01 am and is filed under CPEC, CROSS BORDER KILLINGS BY INDIA, India Global Exporter of Terrorism, Indian Army, Kulbhushan Spy, The Hindutva Nazi Mind. You can follow any responses to this entry through RSS 2.0. Both comments and pings are currently closed.